having to increase your staff. From credit card payments to electronic check processing, our innovative solutions make it convenient and affordable for financial institutions to offer their customers a competitive merchant program. 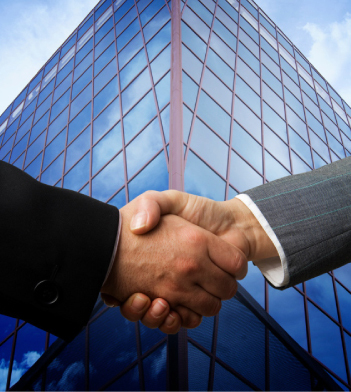 Our Financial Institution Partner Program will give you an edge over the largest competitors. Payment Services will make it easy! The Payment Services Financial Institution Partner Program is one of the easiest ways to increase your bottom line. Expand your customer base and broaden your relationship with existing customers by offering new, competitive merchant services. With our interchange-plus pricing approach, our Partners are able to attract new customers with extremely competitive pricing on merchant services. While PSLLC handles all of the processing and customer support, our Partners earn a residual percentage of the net revenue generated by each of their merchants on a monthly basis. With no additional overhead and no liability, you can tap into a new source of revenue as a Payment Services Financial Institution Partner. Our merchant contract term is generally a 3-year term. However, we are so confident in our rates that we will work with Partners who prefer a month-to-month approach in lieu of an extended contract. This month-to-month approach acts as a guarantee to the merchant that their rates won’t be raised, because they’re free to leave at any point. From credit card terminals and pin pads to check readers, we offer very competitive prices on a wide variety of equipment that can be customized to meet any business’ needs. The Payment Services Financial Institution Partner Program offers a unique opportunity for our Partners to remain competitive in their communities. Earn new business accounts with the best merchant rates in the industry. We will handle the processing and customer support while you enjoy a new, risk-free source of revenue. Contact us to learn more on how our Financial Institution Partner Program can help grow your business.